Marley was dead: to begin with. There is no doubt whatever about that. Read more . 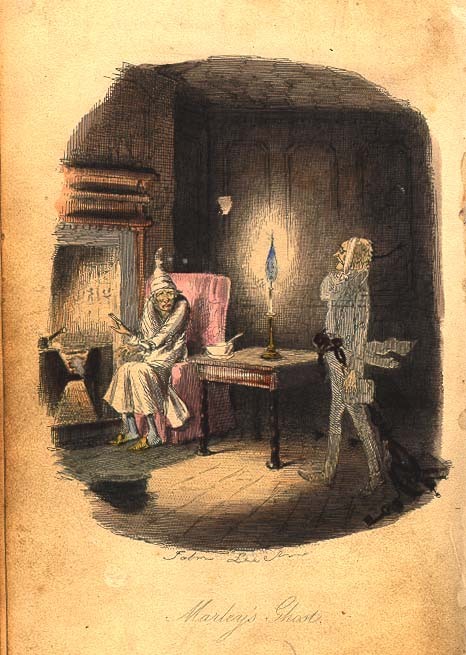 A Christmas Carol reminds us that we are not alone unless we choose to be. Like Ebenezer Scrooge, we learn that when we help others, we help ourselves. And so, as Tiny Tim observed, Merry Christmas, and "God bless us, every one." My favorite Christmas story is A Christmas Carol, by Charles Dickens. I love it because every year it renews my faith in the ability of human beings to make the most profound changes in their lives. Dickens teaches us that it's never too late to become the kind of human beings we were meant to be. Here, Dickens brings out all of these wonderful examples and takes us through the life of Scrooge, ending in an exemplary and joyful outcome for a guy whose life is changed for the better, forever (despite years and years of baggage).